In no-limit hold’em, pot sizes increase at very quick rates. Small mistakes early in the hand can turn into absolute disasters later in the hand when the pot size increases by a factor of 10, 15 or more. The key lesson to be learned by this is that starting off the hand correctly is key to long-term success. 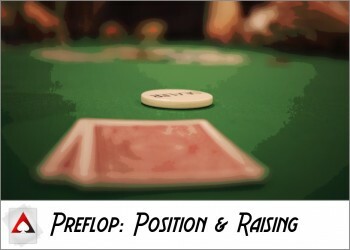 Our goal here with Pre-Flop Basics I is to give you a handful of key ideas to drive your pre-flop play in the right direction. These are the barebones fundamentals about the most common situations you’ll face and how to think about them correctly. Every good player knows these concepts to the point that it’s second nature. 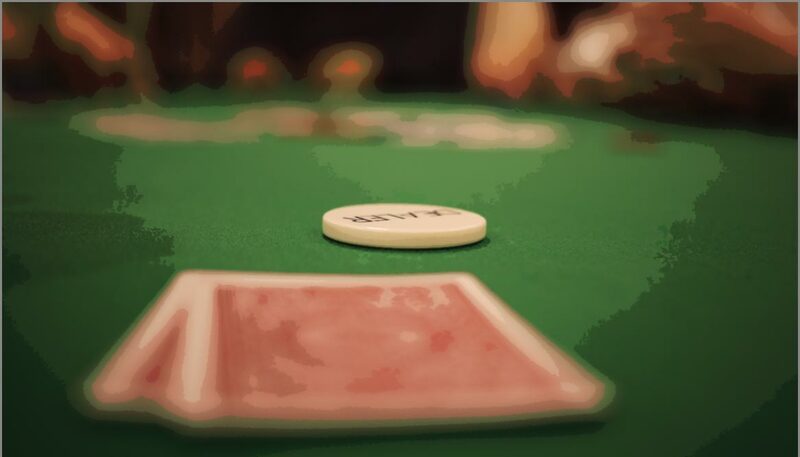 Generally speaking, the person who acts last has an advantage in virtually every situation that comes up in poker. One key source of this advantage is the difference in information: When you act on a given street, you’ll always know what the other players have done when you have position on them. 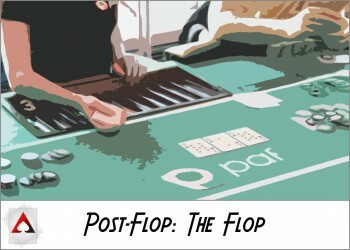 In pre-flop situations, there’s another advantage to position. If it folds to you in later positions and you open-raise, then you’ll have more of a chance of taking down the blinds since there are fewer people left in the hand who would need to fold. What’s more is that you have less of a chance of running into a strong hand since there are fewer people who still have cards. In almost all situations, you can profitably play more hands in better positions pre-flop than you can from worse positions. The button is the best pre-flop position, and the further you are from the button, the worse your position. The only exception to this rule is that the big blind is the worst seat to be in pre-flop because you have to put in a full bet while the small blind only has to put in half a bet. 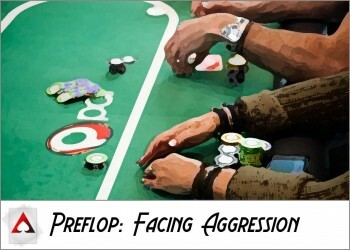 Note that even though the small blind and big blind act last pre-flop, they have to act first for the rest of the hand, and that contributes to them being the worst positions as well. 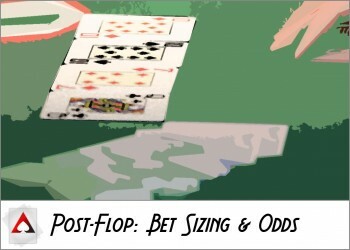 Proper bet sizing when raising pre-flop is so important that a slight mistake can drastically impact the remainder of the hand. 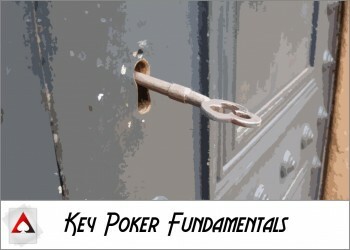 As a general rule, you’ll want to open-raise to three times the big blind when there are just blinds in the hand. You can open-raise to 4-4.5 times the big blind if there are antes depending on how many players there are at the table. If players have limped in (just called the big blind without raising), then you’ll want to add about one big blind to your raise size. If there were two limpers in a game with no antes, for example, then raising to five times the big blind would be acceptable. When it folds to you pre-flop and you decide to play the hand, you have two options. You can raise to three times the big blind, like what was described above, or you can just call the big blind. Calling the big blind in this way is called limping, and when you do so as the first person in the hand, it’s called open-limping. As a general rule, open-limping is pretty terrible for a handful of reasons. First, you have no chance of taking down the blinds when everyone folds, so you’ll lose out in value since you’re forced to see a flop even if no one raises. Second, you make yourself a target for players who have position on you who can easily raise, forcing you to call, and then you have to play a post-flop hand out of position. Third, open-limping gives away a lot about the value of your range. If you open-raise from middle position, for example, your opponent doesn’t know if you have AA or 87s. However, if you open-limp from middle position, it’s much, much more likely that you don’t have a big pair. If one or more people limp in before the action gets to you, and you decide you want to play your hand, then you have two options. Your first option is to raise, and your second option is to limp. 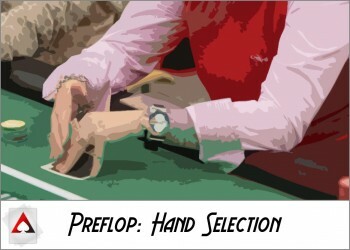 Which option you take depends heavily on the type of hand you have and the number of people who have limped. If just one person has limped in, then you’ll want to almost always raise. 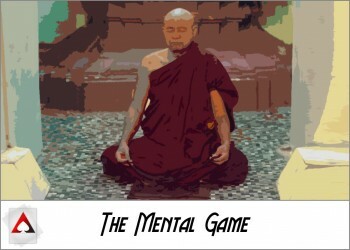 The reason is that you’re generally be in a win-win situation no matter what the limper does. If the limper just folds to your raise, then you’ve taken down some free money, and your opponent is bleeding chips left, right and center. If the limper calls, then you’ll be in position (unless you raised from the blinds) in a situation where you likely know that your opponent doesn’t have a particularly strong hand. You’re in good shape either way, and this will definitely be one of your “bread and butter” situations at micro and small stakes. 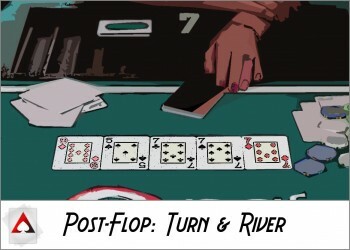 If two or more people have limped in, then you might want to consider just limping in with hands that have a small chance of flopping a strong hand without much else going for them like suited aces, suited connectors and small-medium pocket pairs. When it folds to you in late position (the cutoff, button or small blind for stealing purposes), then you have the option to raise and try to take down the blinds. Only a few people have to fold for your bet to pay off in a major way, so you can play with a much wider range of hands than you could have if you were in early position. This is called stealing blinds. From the cutoff and button especially, if you happen to get called by one of the blinds, then you’ll still be in position for the rest of the hand, so you don’t have too much to be worried about. In most games, open-raising something like 35 to 45 percent from the button can be very profitable if the blinds aren’t fighting back. A special case that you have to be aware of is when it folds to you in the small blind and you’re facing the big blind. This is advantageous in the sense that if the big blind folds to your raise a lot, you can make a lot of money. However, if the big blind is calling often, you have to slow it down because you’ll be seeing a lot of flops out of position. In this article, we talked about the power of position and bet sizing, next we need to look at which hands we want to raise with and why. 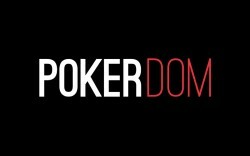 This article is part 2 of an 8 part series from New Player Guide: A Shortcut to Playing Better Poker. You can navigate to the previous or next article below, or choose a specific article from the series.